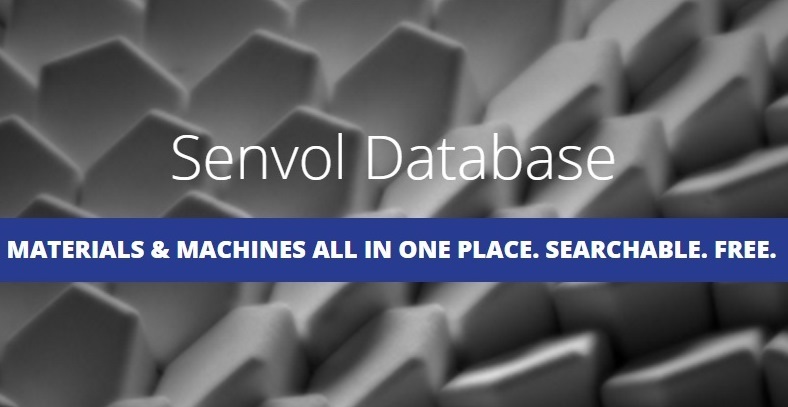 Potential machine buyers, engineers interested in searching materials by specific properties and anyone else interested in industrial additive manufacturing machines and materials can now browse through the world’s first free online Senvol Database. According to the press release by Senvol, users can search the database by over 30 fields, such as machine build size, material type, and material tensile strength to find what they need. “We’re very excited by the Senvol Database because it’s an extremely useful tool for everyone in the additive manufacturing industry. There has been a growing need for a tool like this and we’re pleased to provide the industry with a solution,” said Senvol President Zach Simkin. “Senvol very much values input and feedback from its user community. It’s through the power of our user community that we are able to continuously improve the Senvol Database,” Senvol President Annie Wang said. The Senvol Database is the first and only searchable 3D printing database for industrial additive manufacturing machines and materials. For comments, suggestions, or ideas, email the company at [email protected].